Email inboxes are constantly bombarded with spam mails. It does not just occupy the email bandwidth, however, it also brings about a lot of malicious threats to the users. A good spam filter would help you to stay secure, protected and helps you terminate unwanted suspicious spam emails from entering your network in the first place. There are some good third-party spam filter add-ons made available for Thunderbird that comes with great features. Following are the best email spam filters for thunderbird to help you filter out and move the junk to separate junk folder. It features email archiving, antivirus filtering, auto-whitelisting, Containment. Email Classification, Antivirus Scanning, User authentication, Reputation Network, and more. Comodo Dome Antispam is one of the highly rated spam filters that ensures to keep your inbox free from spams. Thunderbird offers a built-in Spam filter. If you do not wish a third-party spam filter, thunderbird comes with a built-in spam filter. 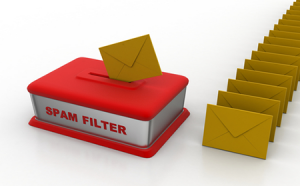 It is capable to filter out spam mails from legitimate emails correctly. The user must use junk tool button to mark a message as junk or legitimate and train the Thunderbird to identify junk. By this way, Thunderbird would start to automatically categorize spam mails and put it in the corresponding spam box. MailWasher is yet another spam filter that tops the list. It is a free anti-spam filter that works with email clients like Outlook Express, Hotmail, Thunderbird and Windows Live Mail. It comes in both Free and Paid versions. It is an effective spam filter that can function in both mobile devices and desktop computers. It helps you preview the emails before it sends it to the thunderbird inbox. Mozilla Thunderbird is an open source product that is efficient in filtering out spam filter deploying Bayesian statistical analysis. Once it has been trained, the spam detection rate becomes more effective and there are no false positives. Turning on the Junk mail filter, would help your Mozilla Thunderbird inbox stay away from spam. 1. Select Preferences > Account Settings from hamburger menu in Thunderbird. 2. Make sure to check Trust junk mail headers set by: which is found under Selection. 3. Choose the spam filter that has been used from the list. Comodo Dome Antispam is a business-based anti-spam software and threat prevention system that deploys smart spam filters, antivirus scanners and robust content analysis engines to strictly deny unsolicited emails from entering the corporate network. It provides a Centralized management console that helps you to allocate and apply different levels of security to cater to different demands of employees of different departments. It helps to archive all the emails and this helps to locate critical information instantly from the Dome anti-spam archive with advanced search options.